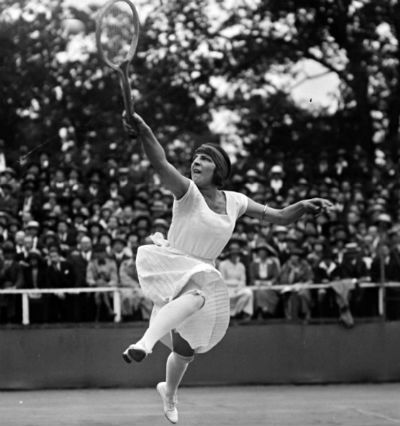 A lot has happened with the sport of tennis since it once started – with players (technique, tactics, fitness, skills…), balls, tennis rackets, court surface but the net is still the same. The ITF Introduction to Tennis Taskforce was formed in June 2003 to identify how to better introduce tennis to starter players, www.tennisplayandstay.com. The Taskforce recognized that, whilst tennis is growing in many nations, some of the more established nations are facing challenges related to participation resulting primarily from lifestyle changes that have occurred. The key finding was that tennis appears to be better at attracting people than retaining them. The Taskforce identified the need to adapt tennis to the needs of the customer or more specifically the starter player and to agree on a common position related to starter tennis. Please, watch this on YouTube for better understanding. In February 2007 the ITF officially launched a global campaign aimed at increasing tennis participation worldwide, Play and Stay and Tennis10s. At Tennis10s slower balls and smaller courts are used and also smaller rackets. The optimal striking zone for groundstrokes is between waist and shoulder height. Even at the age of 10, the regular Yellow ball will rebound above the head of an average 10-year-old player. The slower Red, Orange and Green balls however, are designed to bounce lower (and move through the air slower) to suit the height and motor skills of the player. The court size for Tennis10s is recommended to be relevant to the size of the player. The slower balls and scaled court sizes are designed to make tennis easier and more fun for young children and also to ensure that competition at this age is appropriate. 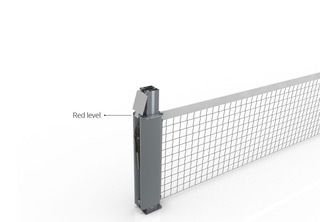 A lower tennis net will not only make it easier for the young players to play tennis but also make it easier to learn the correct swing technique from the beginning. It will also help the players to learn the tactics of the sport much easier. With SmartNet®, it will help the players to serve easier, to have greater angles on the serve and also make it easier to learn forehand, backhand and the other shots. It will also be easier to play volley with a lower net in front of the player. A lower net will be helpful to develop the tactics and technique much easier and more natural. ATP and WTA top ten players have an average height of ca. 182 cm (ATP and WTA ranking at Dec 5, 2011) and the net height in the middle (91,4 cm) is almost exactly 50% of the average height of the ATP and WTA players. To make it easier and more fun for the players Under 10, they should also have a net height that is 50% of their height. SmartNet® is giving the players Under 10 the possibility to learn the technique easier, to use a greater tactic ability and have more fun with a net that is designed to suit the height and motor skills of the player.